I have to start off by saying that I was literally re-introduced to Bristol in a different light. The day I visited Bristol was the day that the combination of a hurricane in Ireland, wood fires in Portugal and Sahara sand created an eerie atmosphere in most of England. When I arrived in Bristol just before midday, the sky had turned brown and the sun had a weird red glow around it. 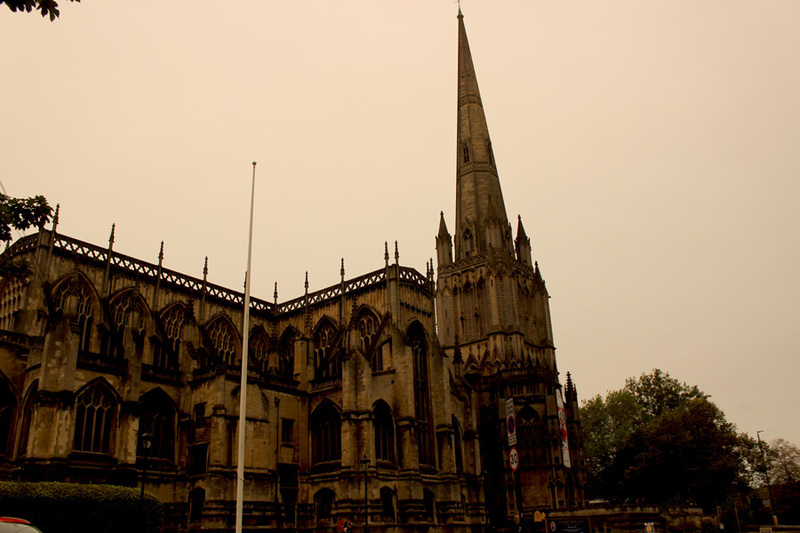 One of the first landmarks I encountered after getting off the train was St Mary Redcliffe, one of the most important examples of Gothic architecture in Bristol. The picture below shows the impressive construction in combination with the fascinating sky of that day (I haven’t edited the colours or light in the picture). During my walk through Bristol I couldn’t help seeing parallels with other places in the world. 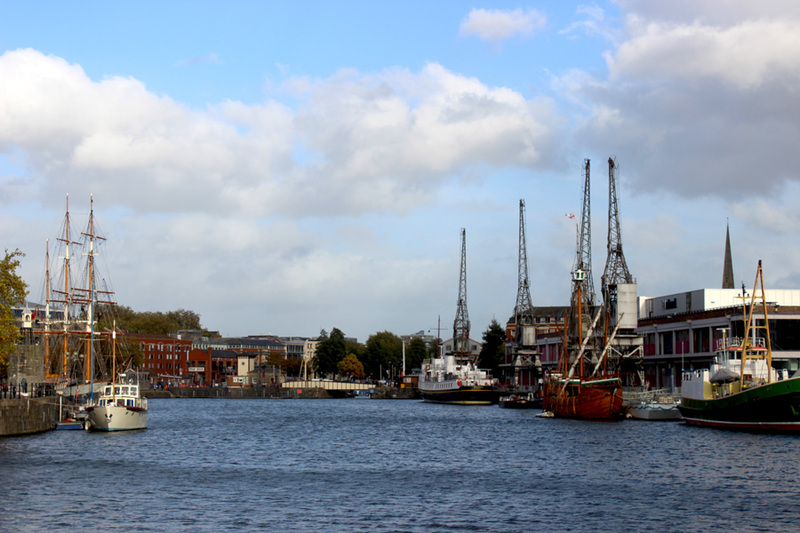 As Rotterdam in my home country, Bristol also has a long maritime history. 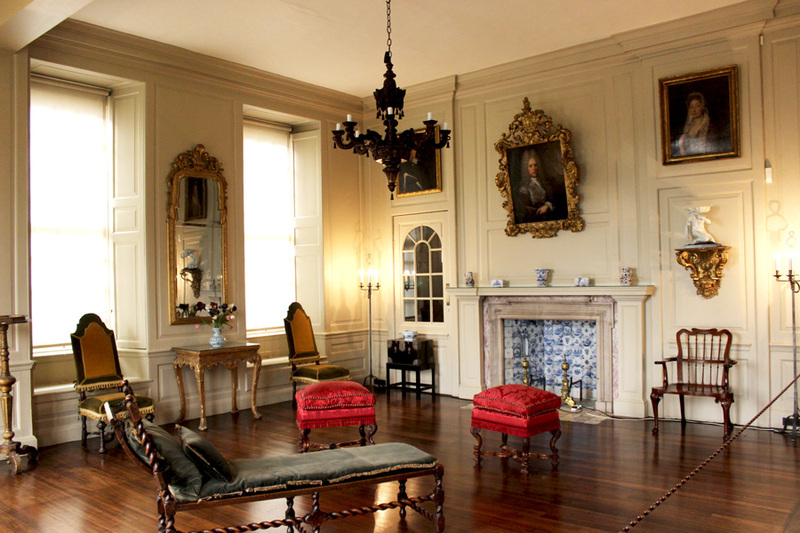 This heritage is captivated wonderfully in its historic, as well as its new harbour. 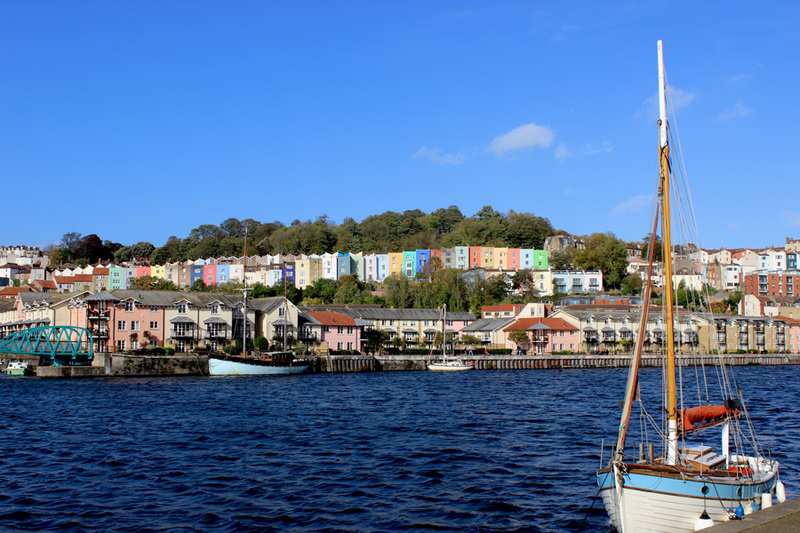 Just walking along the long stretch of harbourside, you will see a lot that reminds us of this part of Bristol. The colourful houses and the beautiful bay remind me of some places I’ve seen in Scandinavia. 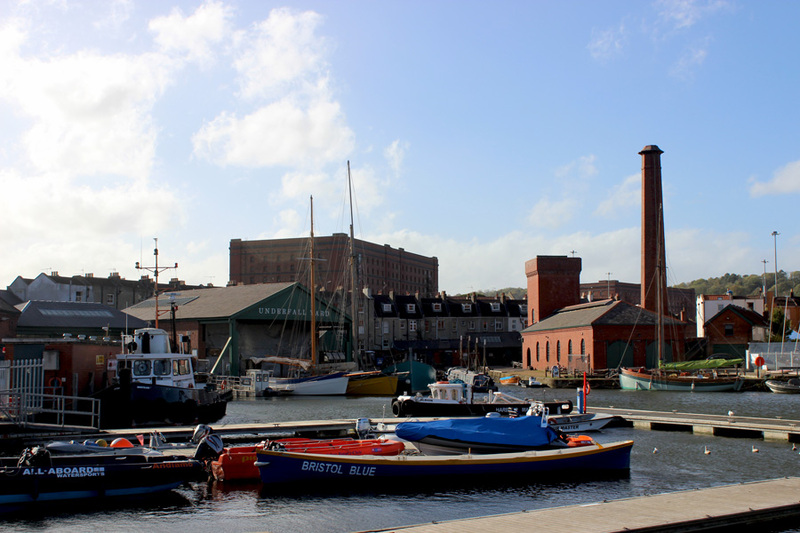 Underfall Yard is one of the only surviving Victorian dock workshops in the world and it’s free to visit. The harbour is still maintained and a collective of boat builders are working here every day. It was fairly quiet when I visited, but there were a few men working on a beautiful ship. 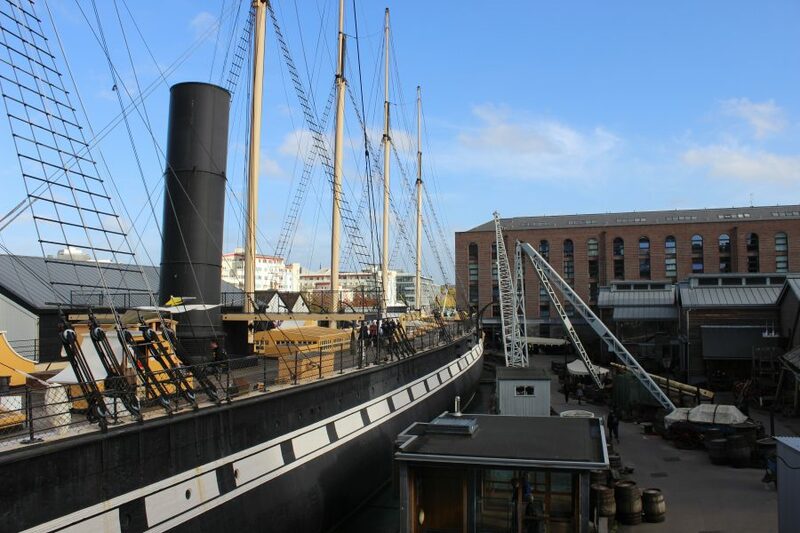 A visit to Bristol can’t go without a visit to Brunel’s SS Great Britain. Launched in 1843, no one could foresee that this ship would be the example of all modern ships. She has made some impressive journeys, and was designed as a transatlantic service between Bristol and New York. She also carried thousands of immigrants to Australia until she retired on the Falkland Islands. 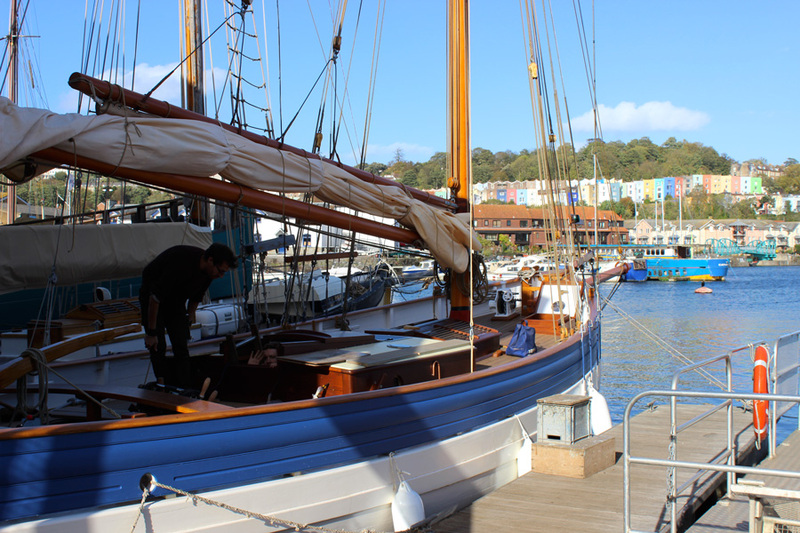 Luckily, she has been brought back to the original dry dock in Bristol, where she is a beautiful museum now for everyone to enjoy. 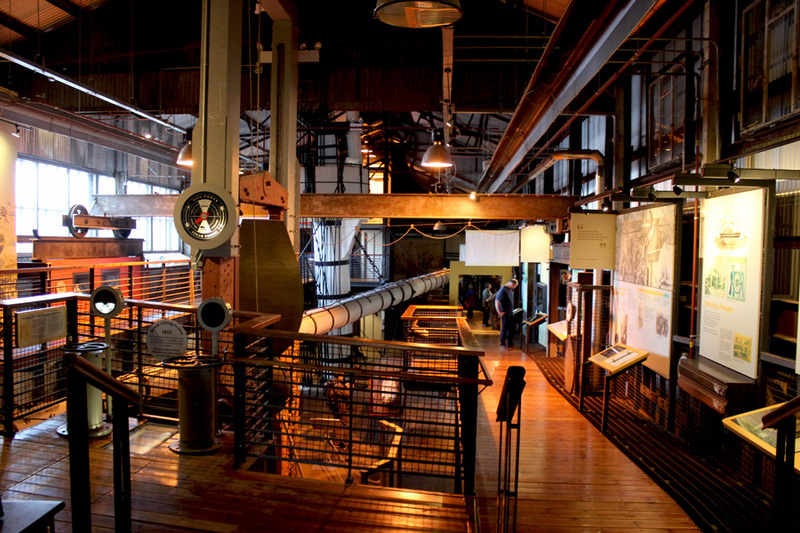 As a visitor you’ll get the full experience, including a ticket that looks like the ticket passengers had when they traveled to New York, and an interactive tour through the dockyard and ship. 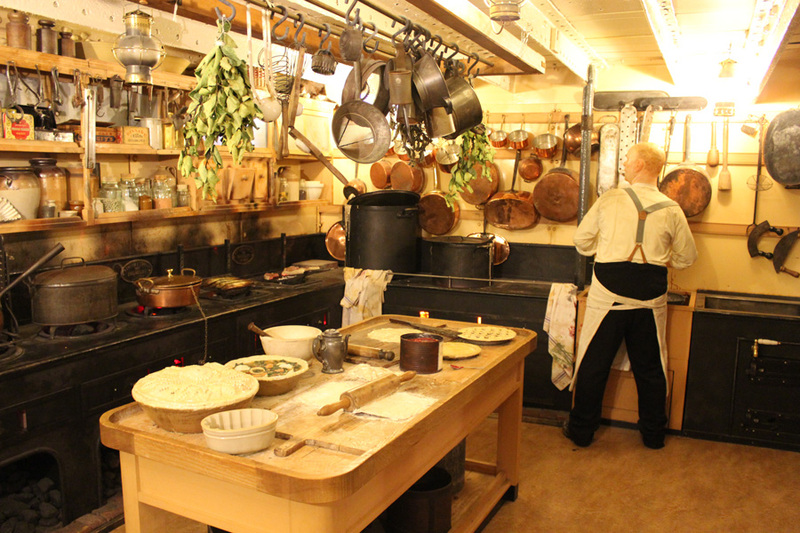 I met some of the passengers during my visit, and helped out the chef in the ship’s kitchen. The rats running around made me feel slightly suspicious about the food quality I must say! 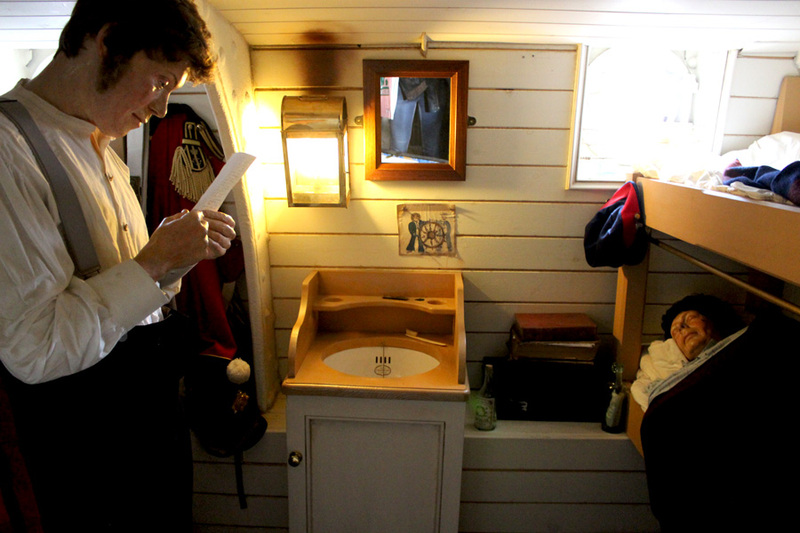 The museum is fully interactive and doesn’t only includes waxworks of passengers and crew, but even sounds and smells (stay away from the toilets would be my advise!). 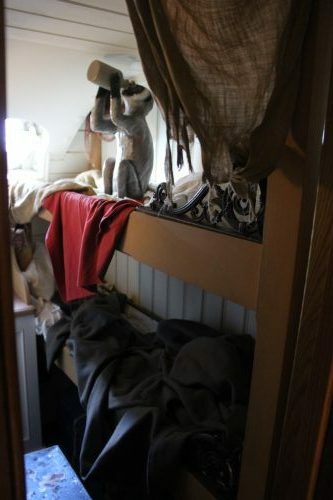 Ehm excuse me Mr Monkey, I believe that’s my bunk! A post on Bristol can’t be published without a bit of Banksy in it. The anonymous street artist and political activist started in Bristol, but quickly grew out to be one of the world’s most famous artists. Several tour companies offer guided Banksy tours, but a quick Google search already unveils most ‘Banksy locations’. 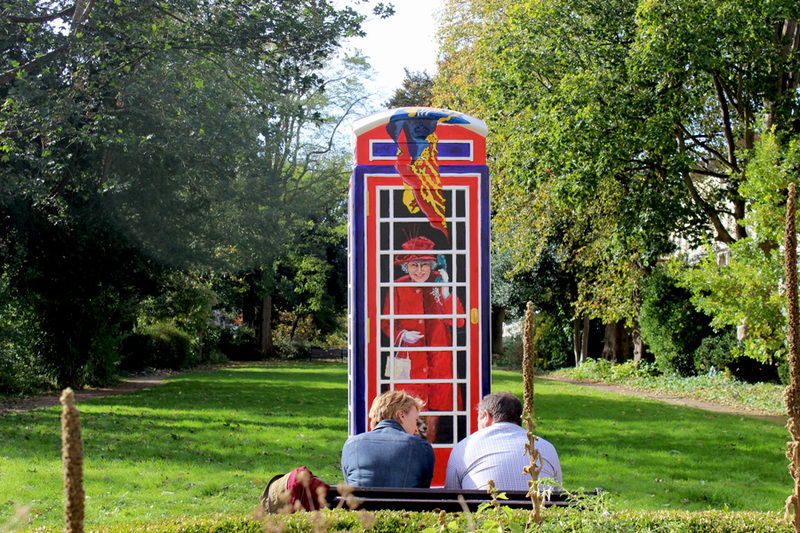 I found the piece ‘The Girl with the Pierced Eardrum’ near SS Great Britain, which first appeared in 2014. 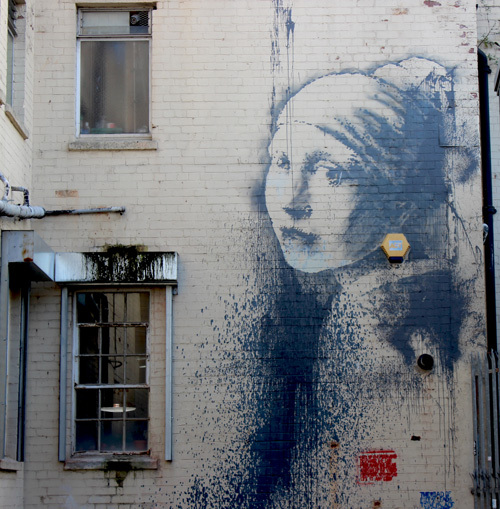 Banksy replaced the earring from Vermeer’s famous piece with an outdoor security alarm. 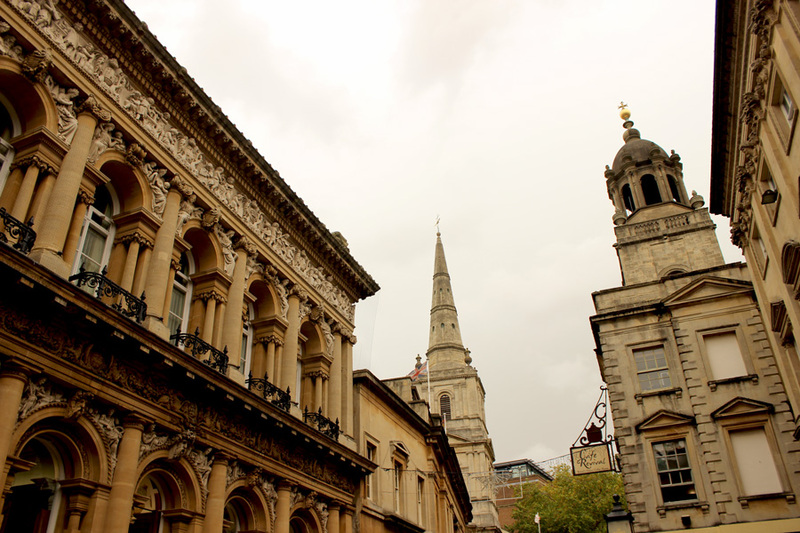 I was happily surprised by the fact that Bristol has such a beautiful historic centre. It isn’t big, but definitely worth a visit. Gorgeous Georgian architecture can be found in this part of town, including some of the original gates. 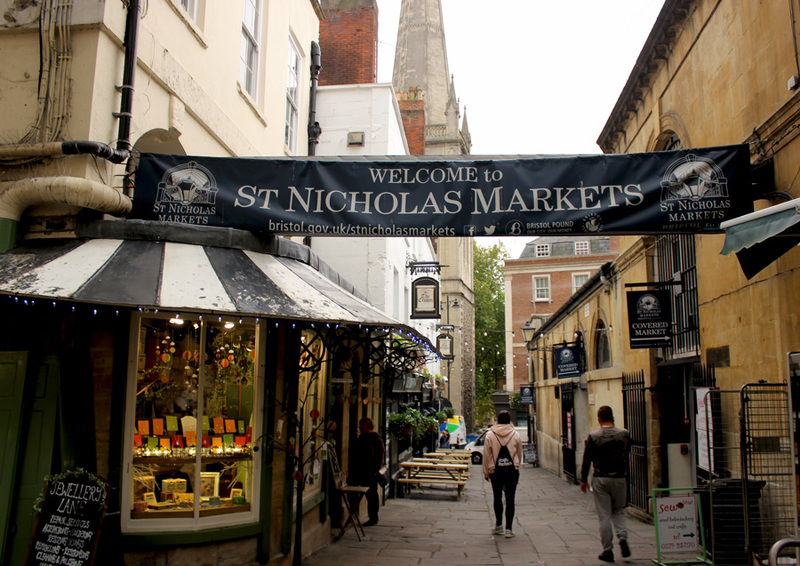 My favourite part in Old City was St Nicholas Markets. 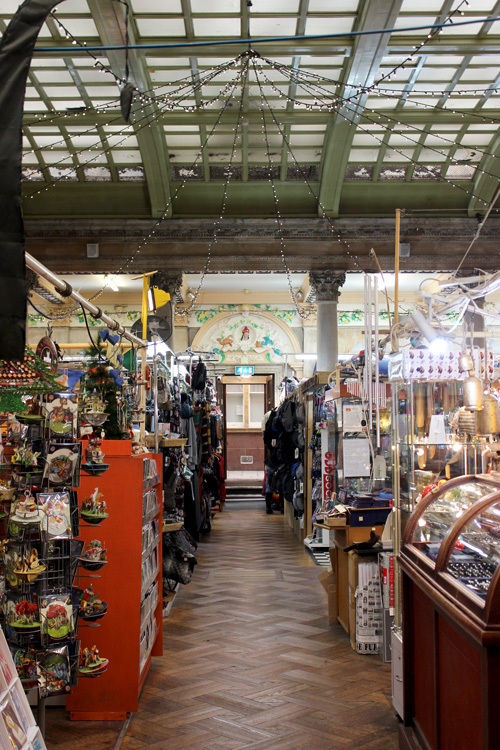 Both indoors, as well as outdoors there are approximately 60 market stalls scattered around selling everything from food to clothes and accessories. 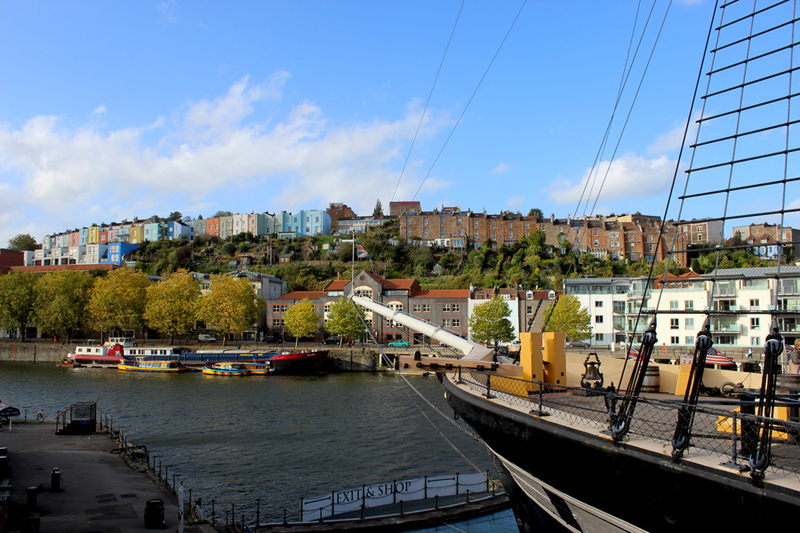 Bristol’s City centre is home to some of Bristol’s most visited landmarks, and is located right next to Old City. 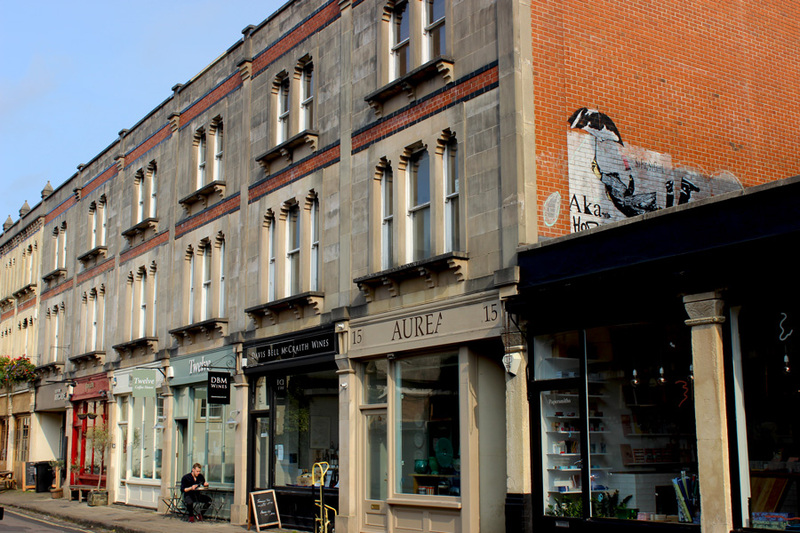 The artsy quarter of Bristol lies in the City Centre and consists of small alleyways where art galleries, potteries and other creative talent have settled. 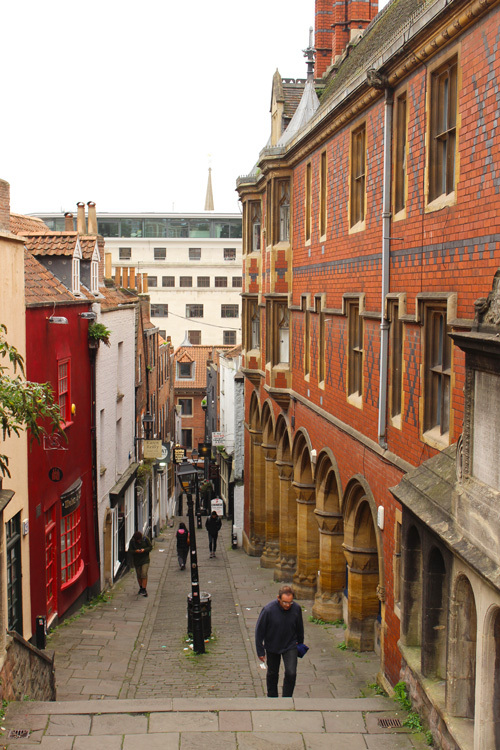 Christmas steps is probably the most famous of streets – and admittedly the most photogenic one. 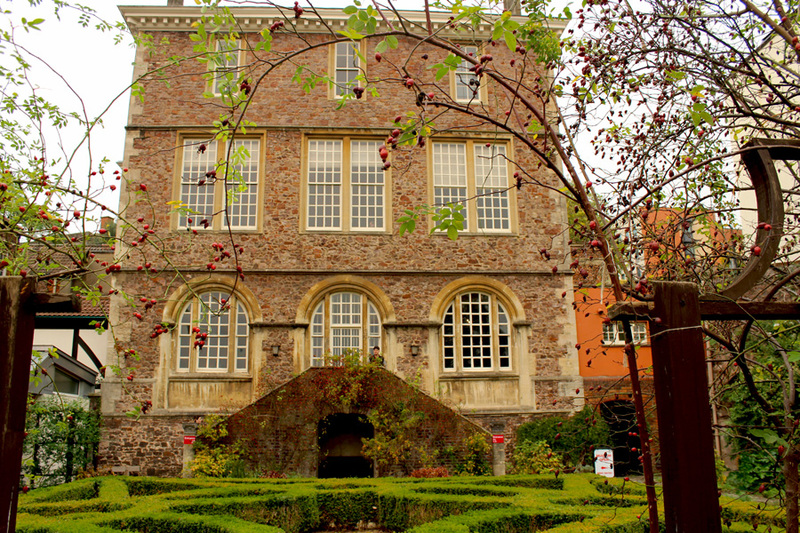 The free-to-enter Red Lodge Museum tells the story of Elizabethan life in Bristol with beautifully decorated rooms and a fascinating knot garden. I was given an information card which told me more about each room and its significance in 16th Century. 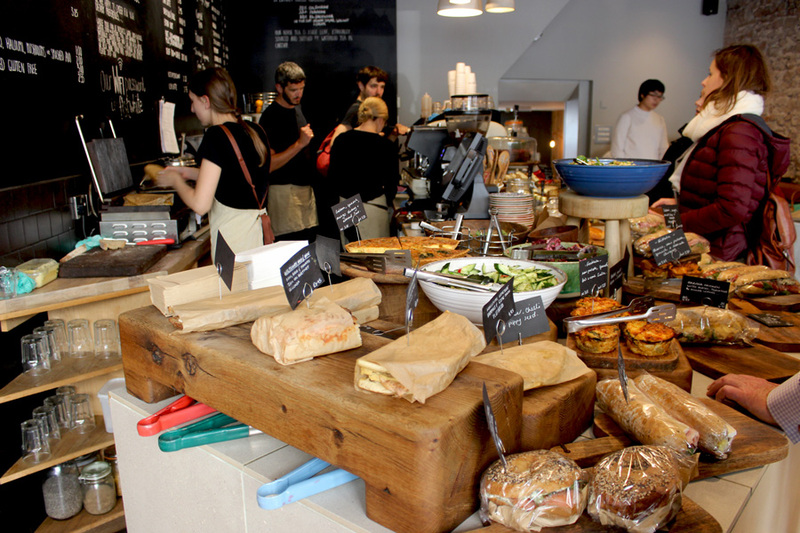 A nice hidden gem in the heart of Bristol. 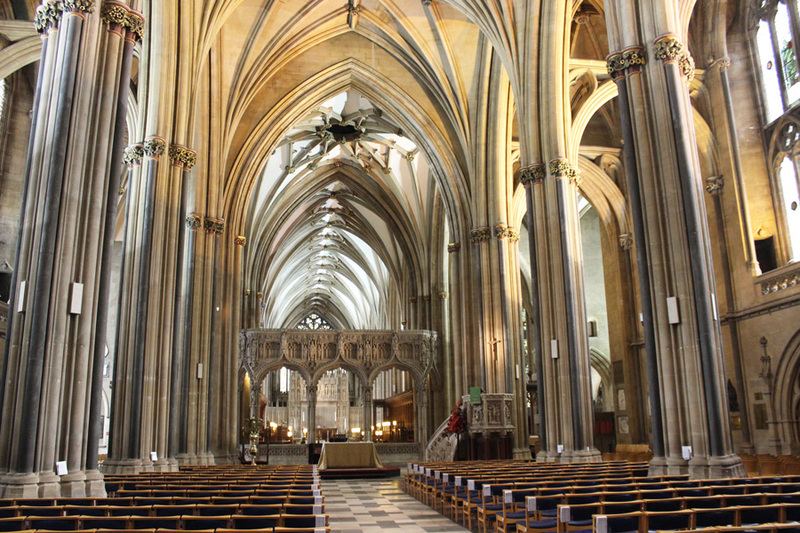 I made a brief visit to Bristol Cathedral before I took bus 8 to Clifton. 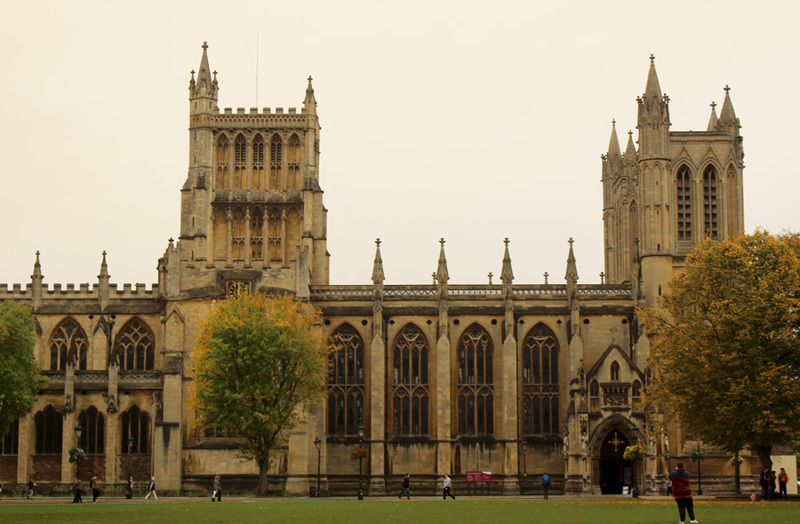 The impressive Gothic building stands on the grounds of College Green and is a Grade I listed building. 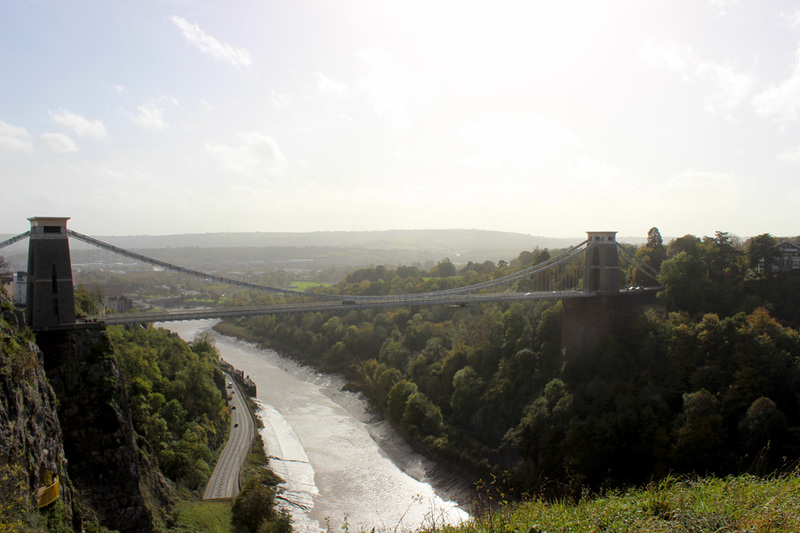 The Clifton Suspension Bridge is probably one of Bristol’s most iconic landmarks. Soaring high above River Avon, the bridge spans the gorgeous Avon Gorge – great for photography! Just as SS Great Britain, Clifton Suspension Bridge is a construction designed by Brunel. 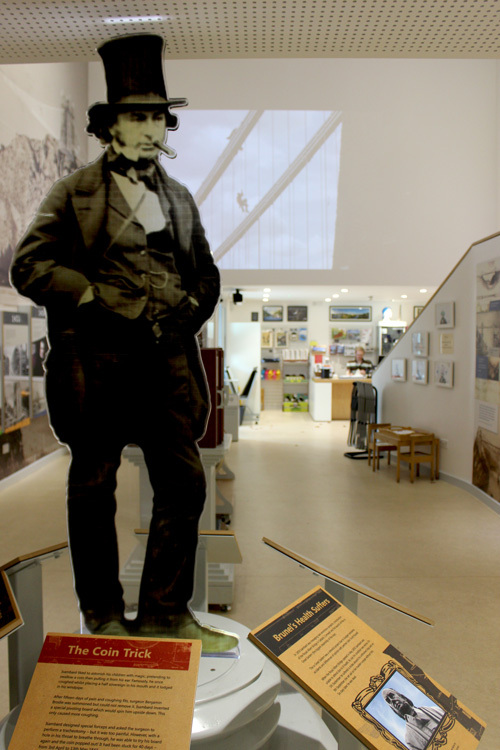 The bridge’s visitor centre on the Leigh Woods side of the bridge dedicates a free-to-enter exhibition to the architect. 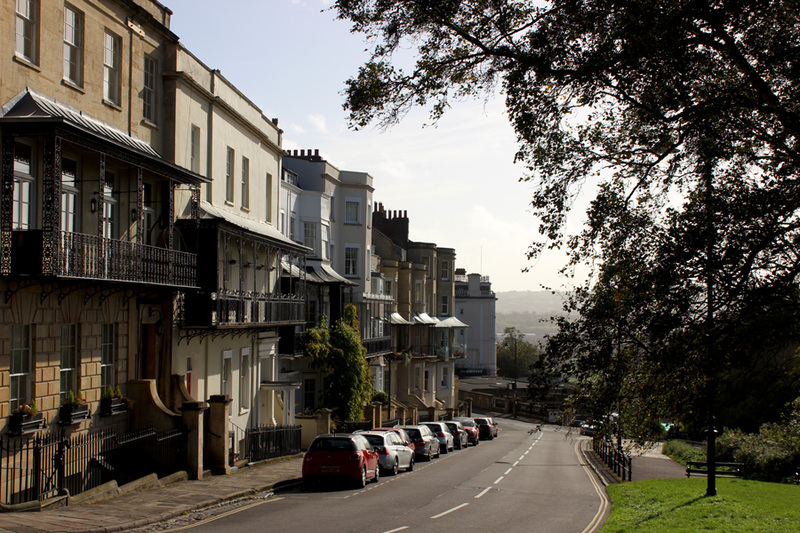 A slightly lesser known part of the city is Clifton Village. Indeed, near the famous bridge. 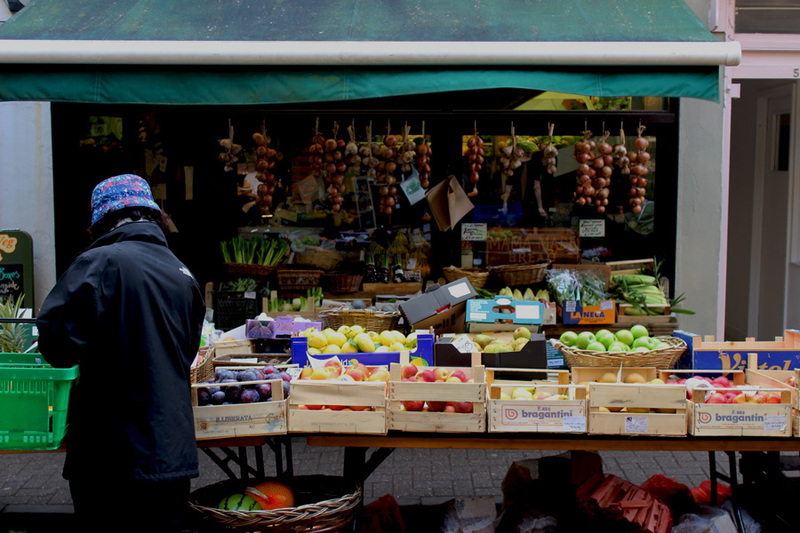 This beautiful suburb is home to some gorgeous mansions, cozy cafes and colourful boutique shops. This is where I felt most of a ‘local’ vibe of all the places I visited in Bristol. I just pretended to belong here (I could get used to it). 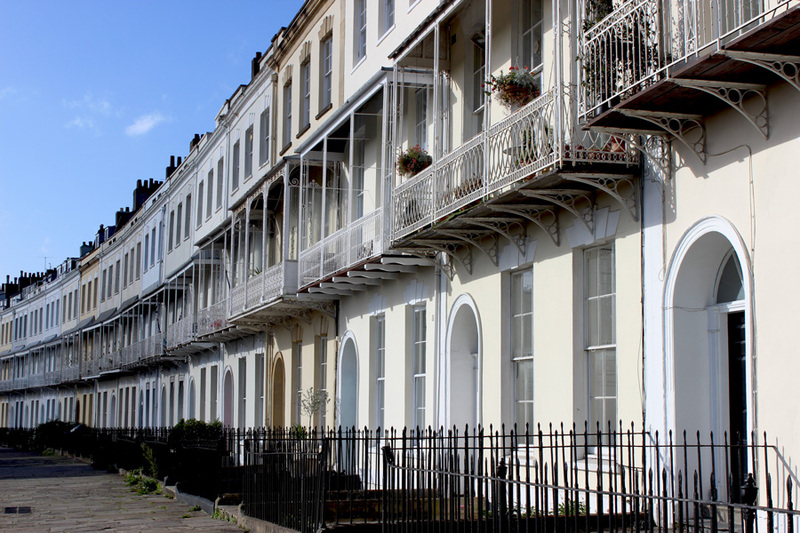 Clifton Village is also home to Royal York Crescent, the longest terrace in Europe and one of the most expensive streets in town. 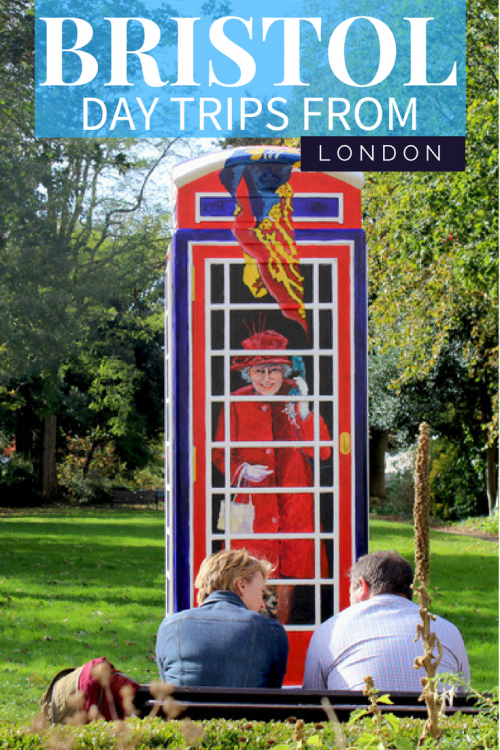 Since Clifton is situated slightly out of the city centre, the best way to reach it is via bus 8. This bus runs via Temple Meads Railway Station, the Centre Promenade, Zoo Gardens and Clifton Village. 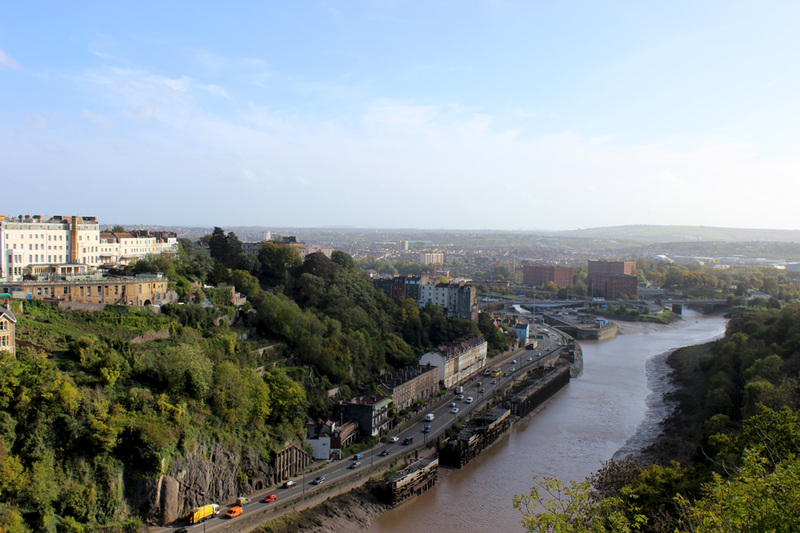 The highlights of Bristol can be seen in one day, but I would be keen to go back to spend some more time in this varied city. 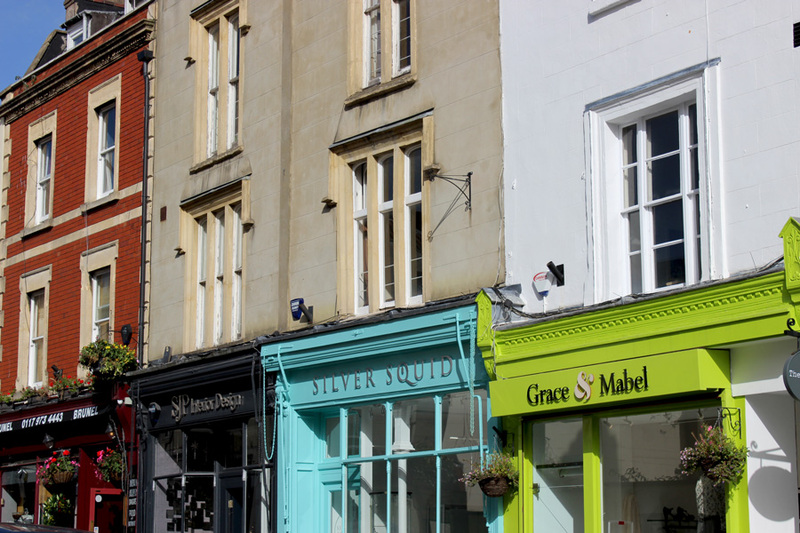 And if you have more time to spend, why not combine Bristol with a visit to Bath? Trains from London Paddington Station (also a design by Brunel!) run approximately every 20 minutes to Temple Meads Station. The journey takes about 2 hours. National Express offers coach services from Victoria Station to Bristol Coach Station. This journey takes between 2.5 – 3 hours. I would like to thank Visit Bristol for their support. I would also like to thank SS Great Britain for their warm welcome and the beautiful guidebook. As always, all opinions are my own.